Unpaginated. B&W illustration and text page. 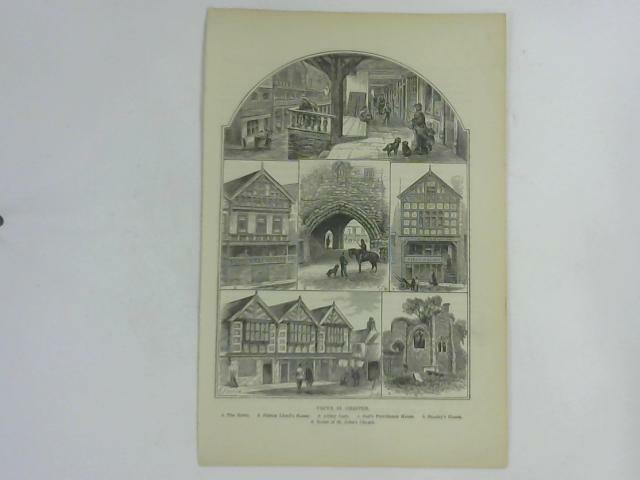 Font has illustrations of views in Chester, rear has text. Mild tanning around edges with small chip to left edge.